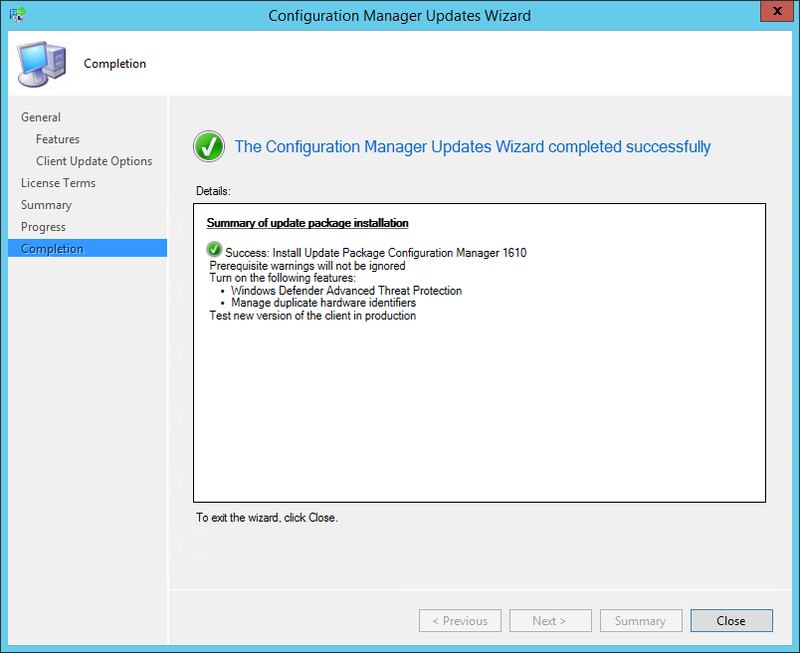 The third upgrade for SCCM Current Branch is now available. 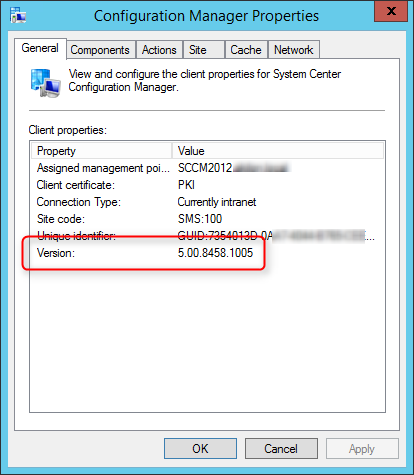 This post is a complete step-by-step SCCM 1610 upgrade guide. 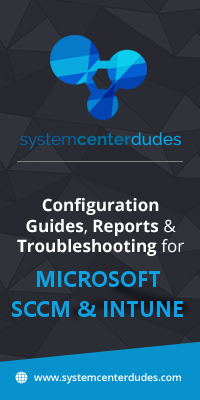 If you’re looking for a complete SCCM installation guide, see our blog series which covers it all. 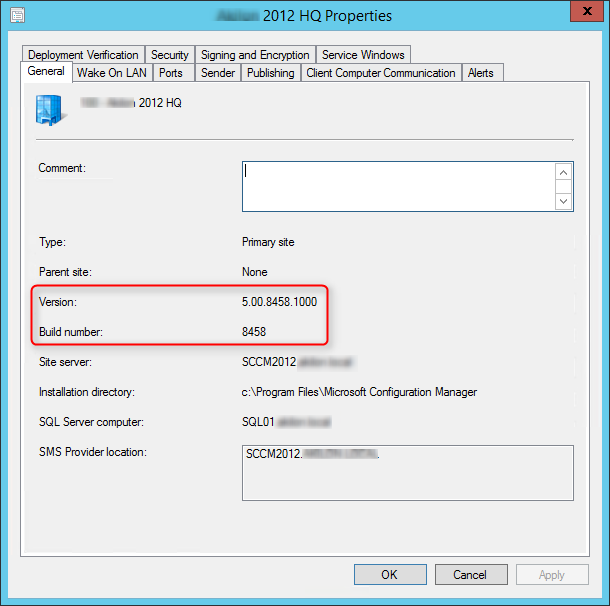 You can’t install this upgrade if you are running SCCM 2012. You need to be at least at SCCM 1511. Similar to SCCM 1606, if you need to make a new SCCM installation, you can’t install SCCM 1610 directly. 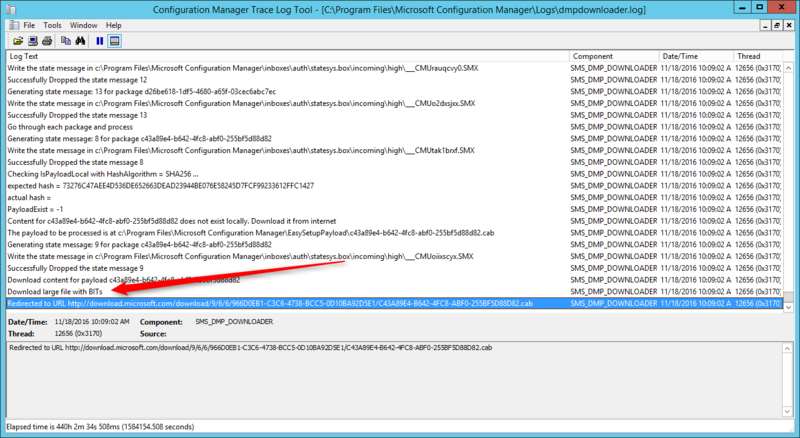 You need to install SCCM 1511 (or 1606) first and then apply SCCM 1610 from the console. 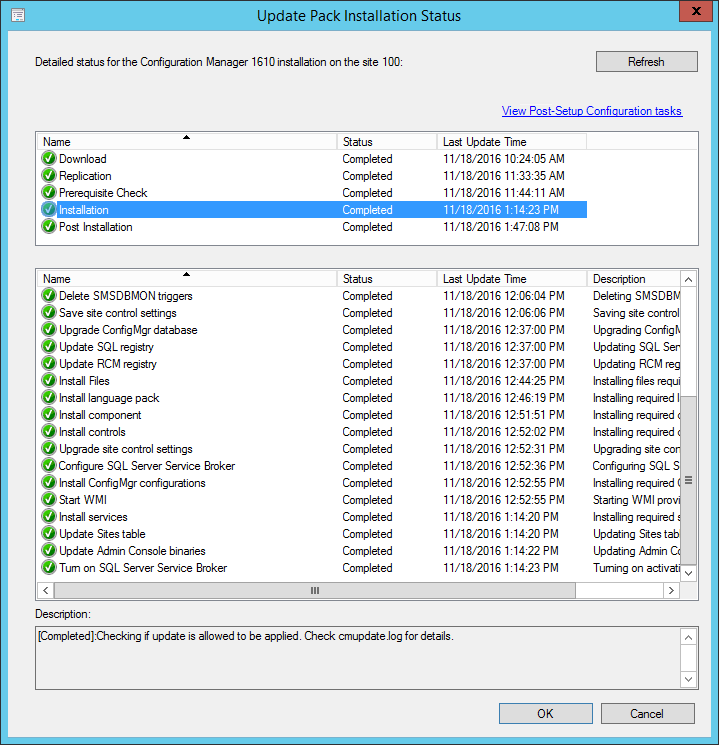 SCCM 1606 is the baseline version if you’re starting from scratch. *If you are running SCCM 1511, 1602 or 1606, the latest updates will be replaced by SCCM 1610 in the SCCM Console after installation. 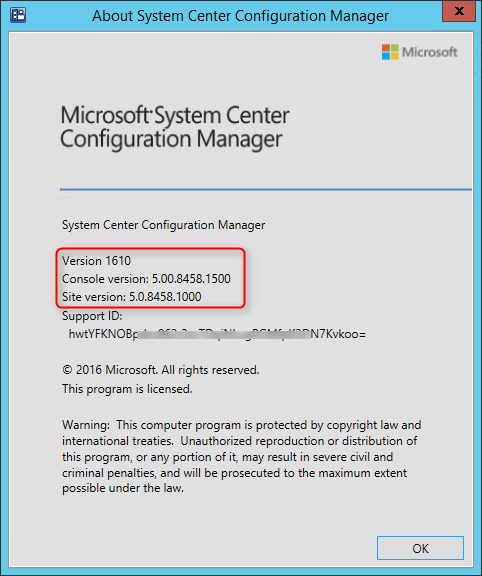 If you are on SCCM 1511, you won’t be able to install 1602 or 1606 after 1610. 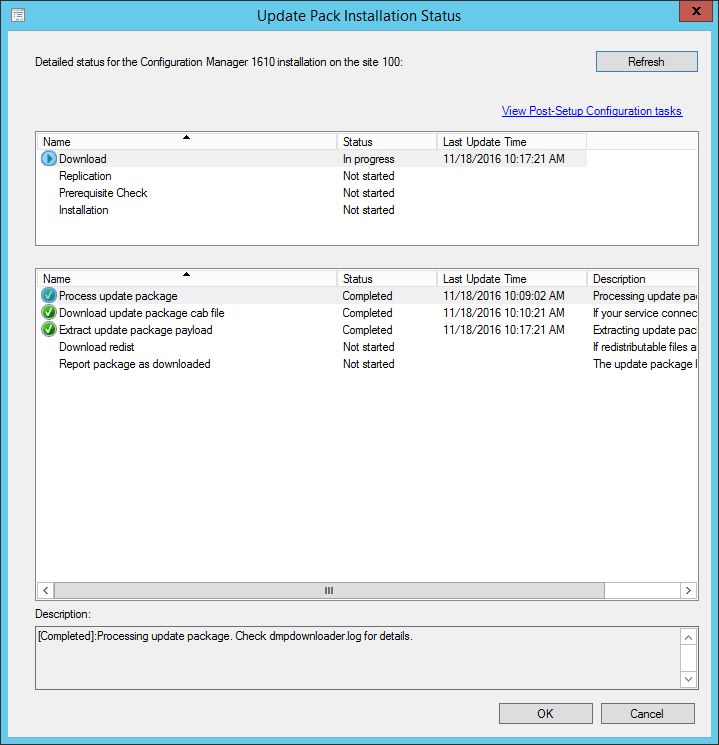 You can skip all previous versions and install SCCM 1610 directly which contains all 1602 and 1606 fixes and features. 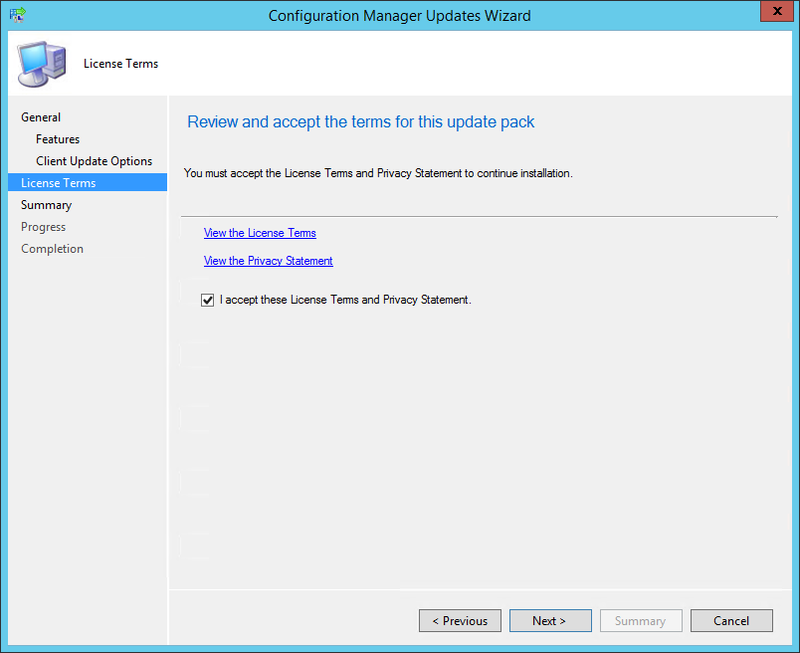 If you’ve been installing SCCM Technical Preview in your lab, SCCM 1606 contain most features included in the latest Technical Previews (1605 and up). 1610 includes lots of new features and enhancements in Windows 10 and Office 365 management, application management, end user experience, client management and also includes new functionality for customers using Configuration Manager in hybrid mode with Microsoft Intune. 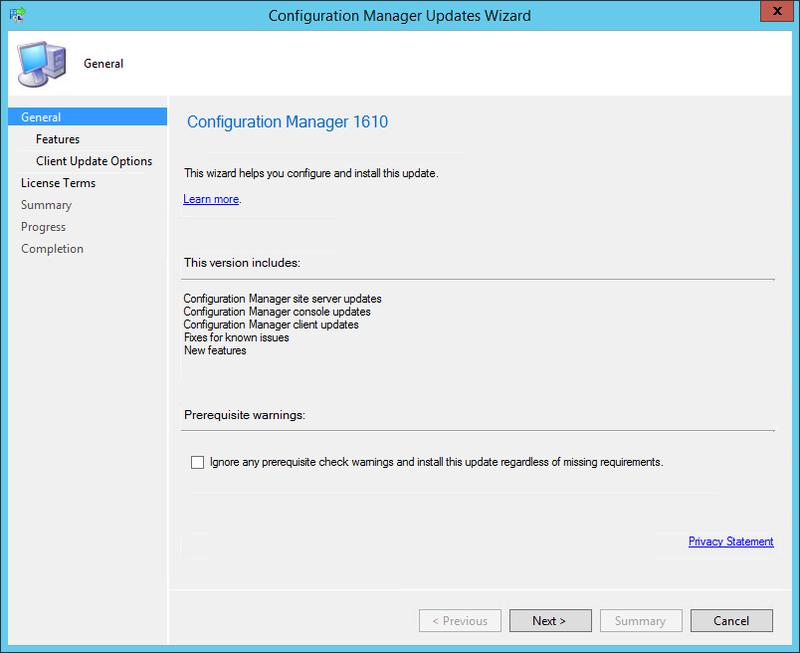 Consult the Summary of changes in System Center Configuration Manager version 1610 article for a full list of changes. Cloud Management Gateway provides a simpler way to manage Configuration Manager clients on the Internet. You can use the SCCM console to deploy the service in Microsoft Azure and configure the supported roles to allow cloud management gateway traffic. The process will first download a .CAB file and will then extract the file in the EasyPayload folder in your SCCM Installation directory. It can take up to 15 minutes to extract all files. 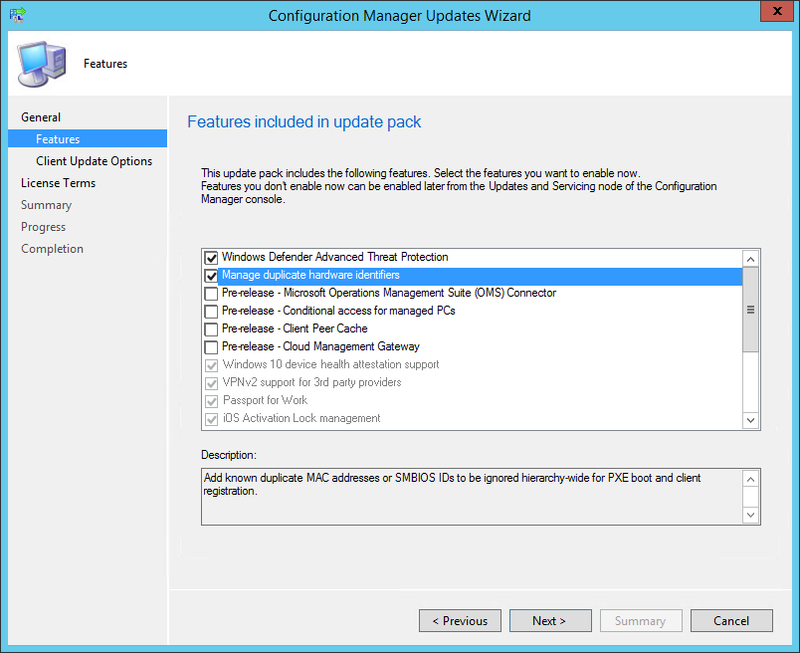 We are now ready to launch the SCCM 1610 update. At this point, plan about 45 minutes for the update installation. As previous Cumulative update, the console has an auto-update feature. At console opening, if you are not running the latest version, you will receive a warning and the update will start automatically. After setup is completed, verify the build number of the console. If the console upgrade was successful, the build number will be 5.0.8458.1500. You can also notice that Version 1610 is stated. 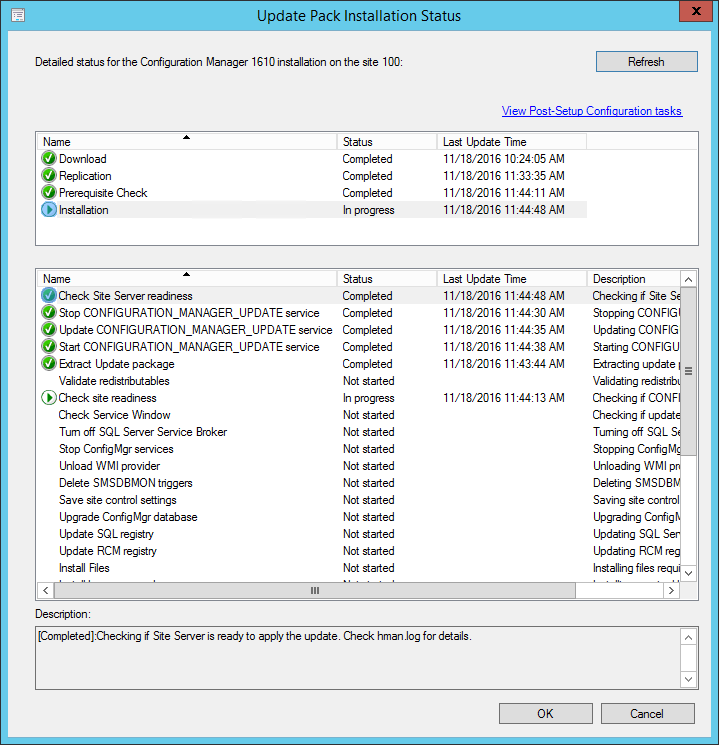 We seem stuck in installing mode… 55 minutes after starting Install Update Pack on 1610, no files populating CMUpdate.log, or Monitoring Site Servicing Status. The state says Installing… but can see nothing happening. The prereq check was good. Even ran the pre-database test on a copy and that was good. The only thing I can think of is we stopped all component services with preinst /stopsite command, instead of stopping each individually. Any thoughts please? Its also strange the choices of Install Update Pack and Retry Installation are still available even thought the state is Installing… Is that normal or necessary to retry? Well it hung at installing, with no logs or monitoring activity all night. No entries in the Update Pack Installation Status as of 10:05am. 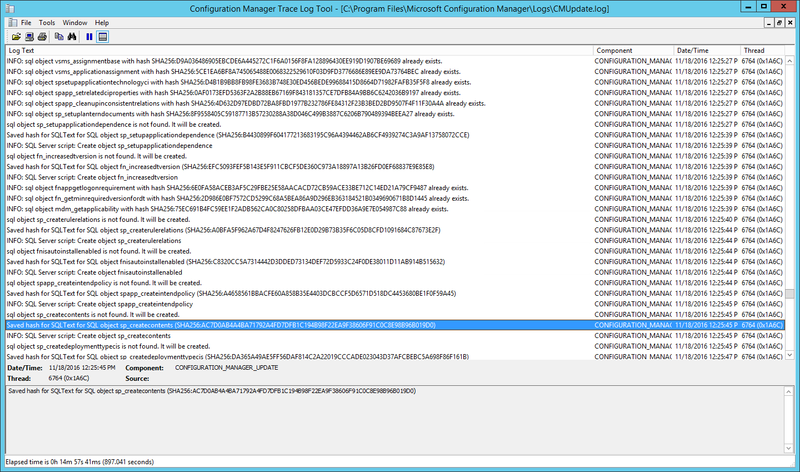 The CMUpdate.log has no entries at all. Hung here. Any ideas please? You shoud go straight to 1702. No need to go through all the updates. This is with and without any drivers. We are getting the same error? are you able to resolve this issue? We want to update from 1511 to 1610. I know it is not required, but I wanted to run the TestDBupgrade setup.exe. Doing so resulted in an error I have not been able to solve thus unwilling to update my production servers. Using a backed up DB from the SQL server and source files copied from the EasySetupPayload package on the SCCM server, I mounted all on a separate test computer. The SQL version matches the production server. From ConfigMgrSetup.log below, not sure what this error message is telling me. During “PreUpgrade Cleanup scripts”. I have checked the SQL Server and Agent logs, they are normal. INFO: Executing PreUpgrade Cleanup scripts. *** [HY000][Microsoft][SQL Server Native Client 11.0]Unspecified error occurred on SQL Server. Connection may have been terminated by the server. ERROR: SQL Server error: [HY000][Microsoft][SQL Server Native Client 11.0]Unspecified error occurred on SQL Server. Connection may have been terminated by the server. *** [Microsoft][SQL Server Native Client 11.0][SQL Server]Possible schema corruption. Run DBCC CHECKCATALOG. ERROR: SQL Server error: [Microsoft][SQL Server Native Client 11.0][SQL Server]Possible schema corruption. Run DBCC CHECKCATALOG. after CS rebooting it’s working fine. Do I have to upgrade client by creating separate package (for manual update). The issue was with corrupt SQL tables. We moved the ConfigMan_DB to a new SQL server, obtained a clean backup copy of the DB, successfully ran the test database upgrade procedure. In our environment we have many distributed workstation support groups, so due to political reasons we are not able to “auto update SCCM clients”. 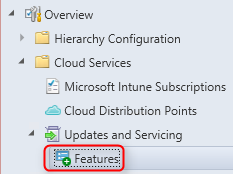 Instead we have to create a package that each workstation admin group can deploy when they are ready. 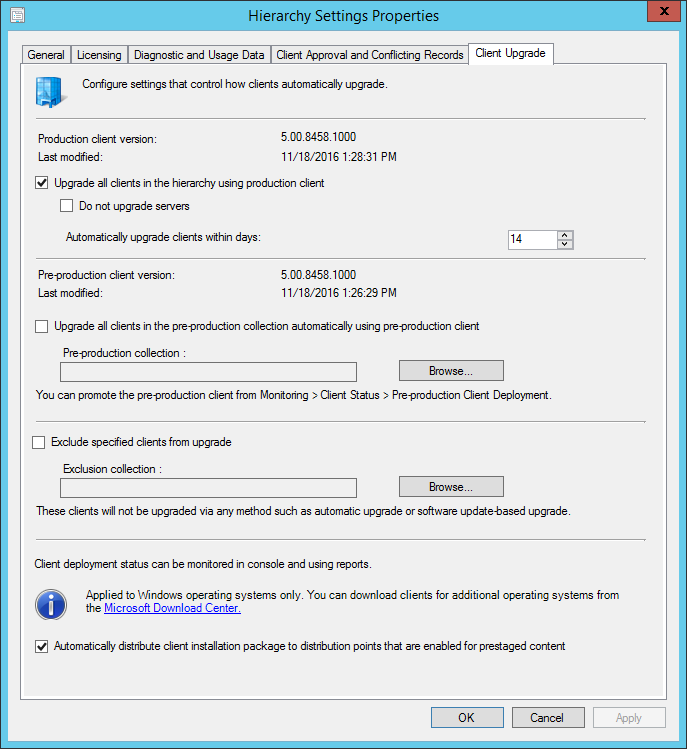 To build a package to upgrade the existing clients to SCCM 1610, which source content should be used? FYI My client version shows as 5.00.8458.1007 Not 5.00.8458.1005 as your did. Great article, and helpful. 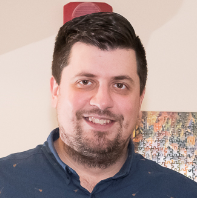 I noticed a question above about the ADK update – I have the same question as to that timing. Same question with the MDT update. do you know if /testdbupgrade is still something we need to do before we upgrade to 1610? If so, how do we go about that, since there is no direct access to the installation media. Ok after the install starts (!) on the down level Primary there is a step “Check Service Window” and it sits there waiting…if you’ve got the Service Window set up correctly that is! Yes it can vary depending of the ring you’ve installed it. I’m having an issue. I did the prereq check and it finished ok. When I started the install, it got to the updating the database step and hung. Not 1610 says installing and wont error or finish. It obviously tanked everything else as the db won’t update. Same issue here. mine is stuck in the installation status, no way to remove it. Same issue here. Prereq check passed, but now hangs on DB Upgrade with same error message. Is it still recommended to uninstall existing ADK, update to 1610, and then install the new ADK and update Boot Images? Do you hap[pen to know In what future version of SCCMwill the production version of ‘Server Groups’ be released?? we don’t know that information. If we compare to 1606, Windows Store for business integration was in Pre-release… now with 1610, it is release. Successfully queued event on HTTP/HTTPS failure for server ‘’. It appears to be missing the server name in the URL. On my Primary and Secondary (which have been upgraded w/upgraded clients) are experiencing the issue. My clients, which are still running the older 1606 client, are not displaying this behavior. Wondering if you’re seeing this as well. Thanks! How does the dialog branding work? I cannot find any documentation. Has the automatic client upgrade behavior changed in the last two builds? If I remember correctly from 1511, once clients checked in, they would have a scheduled task created to upgrade the client to the current version. 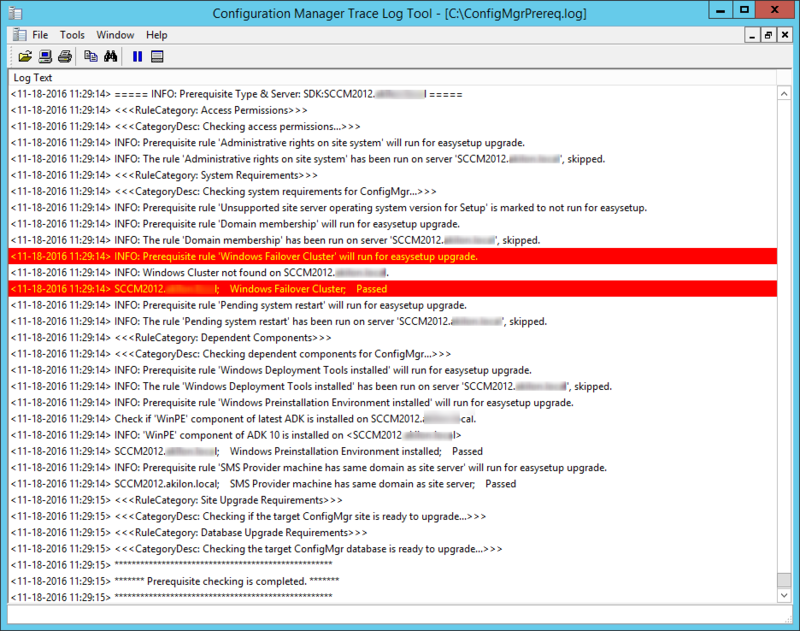 I saw with 1606 and now with 1610 that no scheduled task appears (running task scheduler as a standard user or as admin). In the past, I would manually run the upgrade from the scheduled task. I do see clients are automatically upgrading throughout my network, but is there a way to force it for a client that has not yet updated? Thanks! to force a client to upgrade, simply use the Install Client from the console. That will force the upgrade right away! 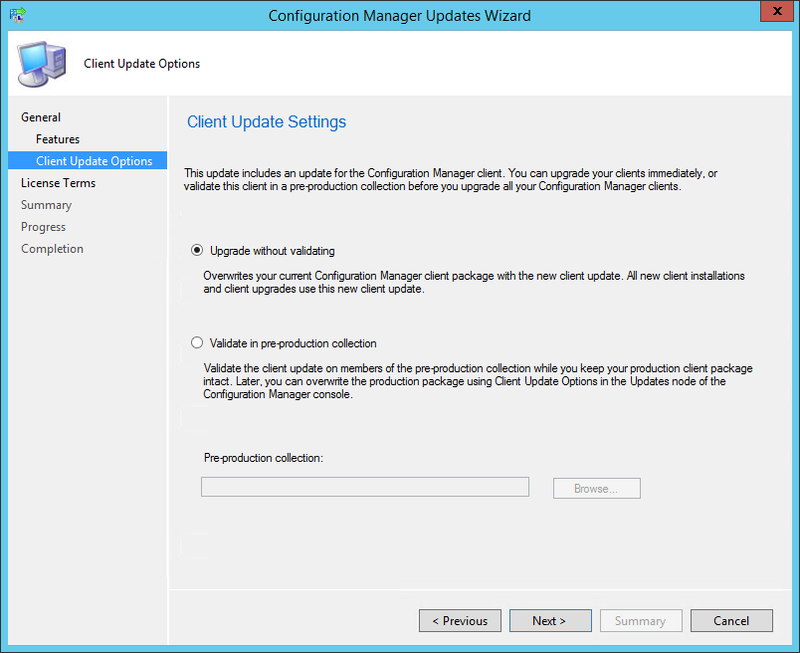 About this step: SCCM 1610 Client Package distribution – You’ll see that the 2 client packages are updated. It’s only true if you selected to Upgrade Without Validating. 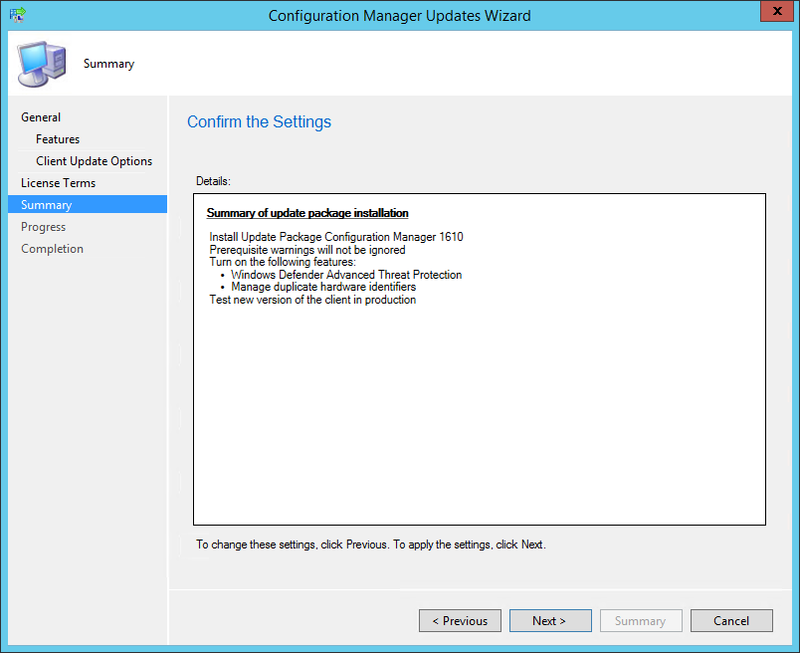 If you selected Validate in Pre-production Collection like I did, only Configuration Manager Client Piloting Package will be update. We’ve added a link to our previous post about Pre-Production client upgrade. Hi, I really enjoyed this post, it’s enabled me to put some affilate ads in my “Pages” on my Word Press blog.Thanks a bunch & please stop by. I’m going to add you to my blog roll, and feature some of your articles in my “Sunday Seven” posts.Thanks!